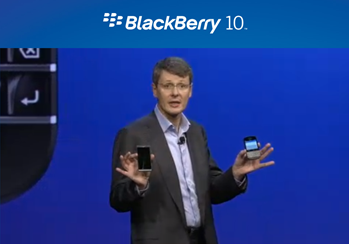 Analysts have started revising the success of Blackberry's Z10 launch. BGR have reported that Canaccord Genuity analyst T. Michael Walkley has revised his estimated from 1.75 million units shifted this quarter to a mere 300,000! This was after he supposedly looked at data from Canada and the UK and concluded that there had been limited initial stock and 'softer than expected demand'! BGR have also reported that analyst Benedict Evans did a little bit of math and worked out that somewhere between 4.5 million to 4.6 million units of the Nexus 7 have been sold, which is pretty darn good going, even if it's not on the same levels as Kindle Fire or iPad sales! Digitimes believe that Apple has lined up AU Optronics to produce the new screens in their next generation iPad minis! That's literally all the rumour says although we would hope to see an improved resolution, but we think that's unlikely because the iPad Mini isn't ready to take the next step up to Retina resolution until the cost of the panels comes down dramatically! Russia's YotaPhone has a future after the creators inked a deal with Hi-P international from Singapore to manufacture the device. Don't worry Hi-P are famed for making Apple, Blackberry and Amazon's eReaders so they're a trustworthy bunch! The device should be with us in the second half of the year and YotaPhone are opening an R&D centre in Singapore for future generations of the device! HMV have closed yet more stores today. The company will close 37 shops and 464 jobs will go. Those affected are people working or living in: Ashford, Basildon, Bolton, Cheltenham, East Kilbride, Enfield, Folkestone, Glasgow Argyle, Gloucester, Grimsby, Hatfield Galleria, Heathrow T5 Departure Level, Heathrow Terminal 1, Heathrow Terminal 3, Heathrow Terminal 4, Hemel Hempstead, High Wycombe, Isle of Wight, Lancaster, Leadenhall, Mansfield, Middlesbrough, Newbury, Newcastle Silverlink, Newport, Nuneaton, Redditch, Salisbury, Scarborough, Southport, Stafford, Staines, Stockport, Swindon, Taunton, Torquay and Woking! The BBC have now released their Sport app for Android devices with screens smaller than 7"! You can get the app here, but apparently some features still use the mobile websites, things such as Twitter and Facebook sharing do, which is a shame, but it's better than nothing! The iPhone 5 overtook the Samsung Galaxy S3 to take the title of best selling smartphone for Q4 2012! When you combine sales of the iPhone 5 and the iPhone 4S, Apple sold 20.6% of the world's smartphones in the quarter! Nokia will supposedly wait a little bit longer to show off a tablet device, so don't get your hopes up for seeing one at MWC! Yesterday Samsung quietly announced a Wifi-only version of their Galaxy Camera! Pretty much everything is the same as before and you can get all the details here! For those of you who have missed HTC's 'trade-up' offer to help you get the HTC One into you hands then you can find full details here! (Unfortunately it's only for US users at the moment, but we're hoping they'll extend the offer). And finally, what can $79.99 by you these days? Well a fair bit actually, especially if you spend it on Kyocera's brand new Event smartphone on Virgin Mobile. The device will be all yours for that price, without a contract and it runs on Android 4.0 Ice Cream Sandwich and there's a HVGA, that's 480 x 320p IPS display measuring 3.5 inches, a 3.2-megapixel camera, and a 1GHz processor. 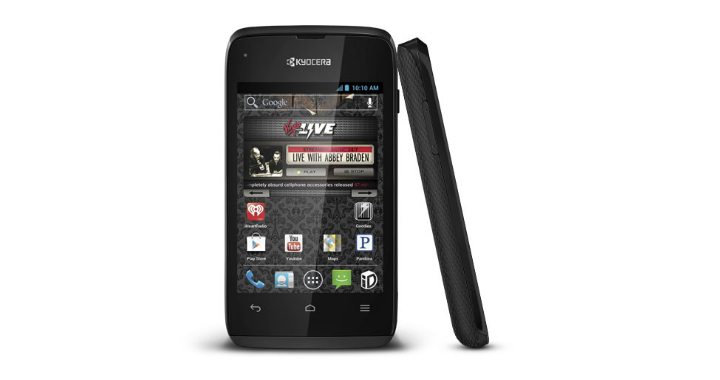 That's nothing mind blowing there, but it is a great back up phone or a really good first smartphone!